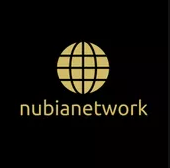 Often used in the western world to symbolize African people or an African source of products, the word Nubia is not always fully understood, even in some parts of Africa. Nubia is the southern region of Egypt, noted historically as one of the earliest civilisations dating back to 2000 B.C. It is the home of African empires and dynasties who conquered and ruled Egypt for over a century. Nubia was noted for its rich deposits of gold and it was the gateway through which luxury products such as incense, ivory and ebony travelled from their source in sub-Saharan Africa to the civilisations of Egypt and the Mediterranean. Nubia is a special region in African history and culture. Primarily for their their development of what we know as civilization today. The Romans had visited the region of Nubia and developed their principles of civilization from what they had seen in this region. Prior to relocation, the scarcity of cultivable land forced Nubian men to emigrate to Cairo in search for jobs. Nubian women farmed the land, cared for animals and poultry, and performed domestic tasks. In terms of leading dynasties, Nubians regarded men and women as equal in power. Often the region’s royalty would lead as a family unit. It was not uncommon to see women on the forefront of battle as she represented the dynasty as much as the husband would. The Nubians believed in the balance of energy and power between the man and woman. A woman could be exceptionally strong, but would never be able to possess masculine energy. A strong man would add to her energy and enable her to reach her highest power. The same applies to a strong woman adding to the energy of a strong man. The Nubian Dynasty’s reign in Egypt proved to be short-lived. In the middle of the 7th century BC, Taharqa was driven out of Egypt by the Assyrians. He and his cousin Tanutamon, who succeeded Taharqa as king of Kush, tried but failed to regain the Egyptian throne. Around 592 BC, Egypt sacked Kush’s capital, Napata. After that, the city of Meroe became the capital of Kush. The kingdom lasted for some 900 years more. One notable Kushite ruler was the fierce one-eyed warrior queen Amanirenas, who battled an occupying Roman army in the first century AD. Her ambassadors were conducted into the presence of the Roman emperor Augustus Caesar, and according to the Roman writer Strabo, they “obtained all that they desired, and Caesar even remitted the tribute which he had imposed.” Queen Amanirenas had won; the Romans withdrew from most of Nubia. In the next article, we talk about the Nubian Queens who ruled empires, overthrew Roman armies and built pyramids.